One of the World's Leading Thinkers in Business and Marketing; Named on 2011 Thinkers50 List. 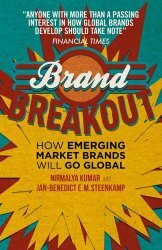 Thinkers50 thought leader, Nimalya Kumar is changing the perception of the role of marketing worldwide. The London Business School professor and sought out advisor has attracted more than 15,000 citations on Google Scholar for his academic research in marketing and business strategy. Harvard Business School, IMD (Switzerland), London Business School, andNorthwestern University (Kellogg School of Management). 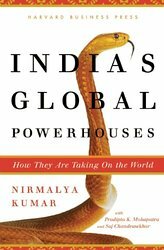 As a consultant and speaker, Nirmalya has worked with over 50 Fortune 500 companies in 60 different countries. He has served on many boards of directors including ACC, Ambuja Cement, Bata India, Tata Chemicals,Ultratech, and Zensar, each with billion dollars plus in capitalization. 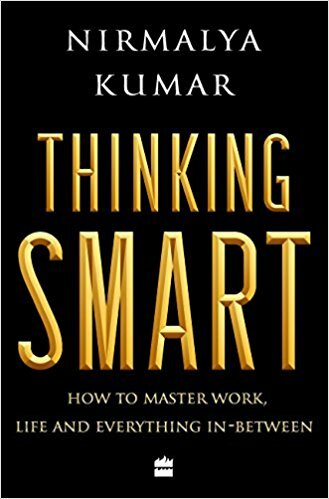 As an author, Nirmalya has written eight books, the latest being Thinking Smart. His publications in leading academic journals as well as nine appearances in Harvard Business Review have attracted almost 20,000 Google Scholar citations. A prolific case writer; he has won six Case Centre adoption awards and the Outstanding Contribution to the Case Method. Passionate about art, Nirmalya supports various museum exhibitions and publications through his art collection and served on the South Asian Acquisition Committee of Tate Modern. In recognition of his patronage and promotion of South Asian Art, he was awarded an Honorary Fellowship by the School of Oriental and African Studies (SOAS),University of London. The session will examine how IDEO, a design firm, has built a culture of innovation to develop creative new products. A 20-minute video presentation will be followed by a discussion of how competences, processes, structure, people, and assets can help generate a culture capable of producing repeated innovation. The presentation will be based on the recently published book entitled Marketing as Strategy: Understanding the CEO’s Agenda for Driving Growth and Innovation. Marketing as Strategy is the first book to cast marketing strategy in terms of the CEO’s agenda. Based on more than fifteen years of researching, teaching, and counselling top executives at multinational organizations, the book outlines seven strategic, cross-functional, bottom-line oriented transformation efforts that address the burning issues on the minds of CEOs. As retailers have become more powerful and global, they are increasingly focused on their own brands at the expense of manufacturer brands. Rather than simply selling on price, retailers have transformed their private labels into brands. Consequently, manufacturers such as Johnson & Johnson, Nestle, and Procter & Gamble, now compete with their largest customers – major retail chains like Carrefour, CVS, Tesco, and Wal-Mart. The growth in private labels, and its changing character, has huge implications for managers on both sides. Yet, brand manufacturers still cling to their outdated assumptions about private labels. 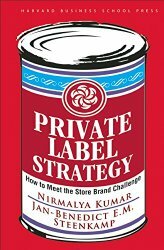 Based on the new book, Private Labels: Competing With and Against Store Brands, this presentation describes the new retailer strategies for private labels, and challenges brand manufacturers to develop an effective response. Most important, it lays out actionable strategies for competing against—or collaborating with—private label purveyors. Based on the best selling article in the Harvard Business Review (December 2006). It’s easier to fight the enemy you know than one you don’t. With gale-force winds of competition lashing every industry, companies must invest a lot of money, people, and time to fight archrivals. They find it tough, challenging, and yet strangely reassuring to take on familiar opponents, whose ambitions, strategies, weaknesses, and even strengths resemble their own. CEOs can easily compare their game plans and prowess with their doppelgängers’ by tracking stock prices by the minute, if they desire. However, this obsession with traditional rivals has blinded companies to the threat from disruptive, low-cost competitors. All over the world, especially in Europe and North America, organizations that have business models and technologies different from those of market leaders are mushrooming. 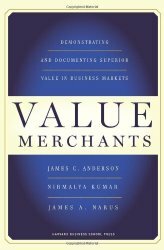 Such companies offer products and services at prices dramatically lower than the prices established businesses charge, often by harnessing the forces of deregulation, globalization, and technological innovation. By the early 1990s, the first price warriors had gobbled up the lunches of several incumbents. Now, on both sides of the Atlantic, a second wave is rolling in. These low-cost combatants are changing the nature of competition as executives knew it in the twentieth century. What should leaders do?